Lindsay interviews Dr. Michael Greger, the force behind NutritionFacts.org, and the author of the New York Times Best Seller, How Not to Die. Welcome to the Shortcut to Slim Podcast by Meal Mentor, our new research-based show! 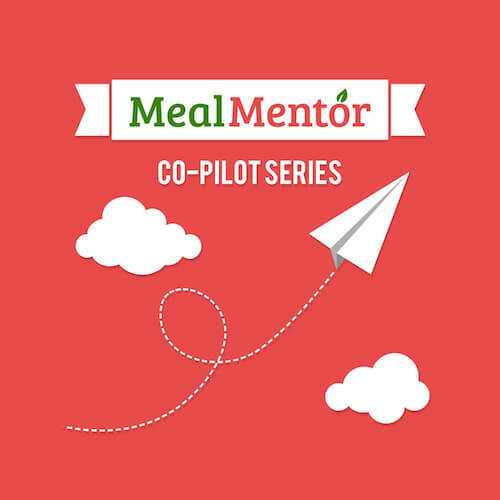 On this episode of the Meal Mentor Podcast, Lindsay is joined by Sarah, who was brought to a plant-based diet because of a health crisis. Episode 51: New member Bonnie describes her natural progression to a plant-based diet. Lindsay is joined by new Meal Mentor member Bonnie to discuss her weight loss journey--including her natural progression of becoming plant-based! Episode 50: Longtime member and firefighter Aaron exemplifies "progress, not perfection." Longtime member and firefighter Aaron joins Lindsay to talk about his successes and struggles transitioning to a plant-based diet. Rachel explains how a plant-based diet has helped her lose 20 pounds, eliminate migraines, and control her type 1 diabetes! On the season 2 premiere of the Meal Mentor Podcast, Lindsay chats with musician Chrysanthe Tan about maintaining a healthy plant-based diet from a tour bus!